If you overindulged last week, here's a tasty way to get back on track. & 9g carbs per serving. After the Thanksgiving Feast last week, many of us are looking for ways to use leftovers and get back on track to our weight loss goals. Thankfully, you can do both with this easily adaptable Chicken & Skinny Rice Soup recipe. With just 98 calories, 9g carbs, and 4g of fat per serving, this healthy and filling soup is an easy way to comfort and care for yourself during the hectic holiday season and after. If you have leftover turkey breast, simply use it in place of the chicken breast. 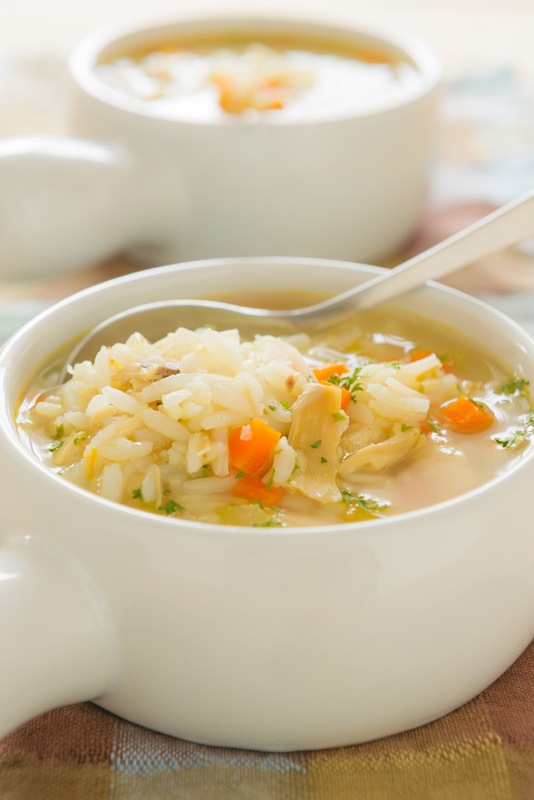 Using Skinny Rice Shirataki in place of regular rice or pasta cuts calories and carbs, making the soup very waistline-friendly. called Konnyaku. It has 0 calories and no net carbs per serving. In a large pot over medium-high heat, bring 1/2 cup broth to a simmer. Add onion, carrots and celery and cook about 8 minutes or until onion is translucent, stirring occasionally. Add remaining 7-1/2 cups broth, water, Skinny Rice, and chicken. Bring to a boil. Reduce heat to a simmer, cover and cook about 35 minutes or until chicken is cooked through. Stir in kale. Continue cooking just until kale is wilted and tender, 3 to 5 minutes. When you're trying to lose weight, the thought of Thanksgiving dinner and start of the holiday season can be downright scary. Having a strategy to conquer Thursday's 2500-4500 calorie meal is the best way to ease fears and succeed at your weight loss goals. Here are five tips to help! Get Active. Exercise before Thanksgiving dinner to create a calorie deficit. Use the 4-day weekend to get even more extra exercise in for the week. Eat Breakfast. Eating a small healthy meal in the morning can help you better control your appetite later. Lighten Up & Watch Portions. Use sugar substitutes like Stevia in place of regular sugar, fat-free yogurt in place of sour cream, and zero calorie, low carb Skinny Noodles in place of regular pasta where possible. Skip seconds and choose healthier options at the buffet. Eat Slowly. Put down the fork between bites and really savor each mouthful to avoid overeating. Go Easy on Alcohol. Alcohol is loaded with extra calories. Choose a non-alcoholic drink or have a glass of water between alcoholic drinks. Above all, try to focus on friends and family rather than the food. Give thanks for your many blessings! 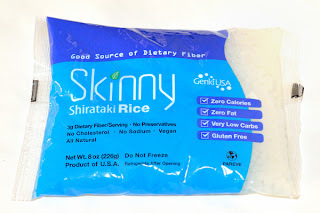 What the heck are shirataki noodles made from? 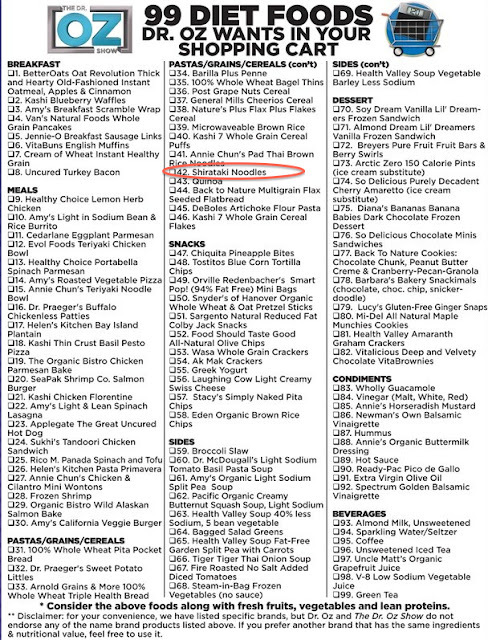 And why does Dr. Oz call shirataki noodles one of his best "99 Diet Foods"? By now, you've probably heard of shirataki noodles. But did you know shirataki noodles and rice are made from a member of the yam family native to Asia called Konnyaku (Amorphophallus Konnyaku)? Products made from this root have been eaten in Japan and China for thousands of years. 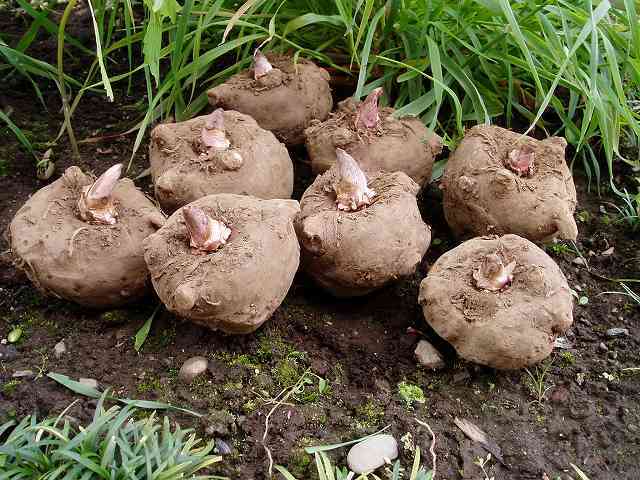 Konnyaku is naturally low in calories and carbohydrates; and high in fiber making it very weight loss and diabetes friendly. 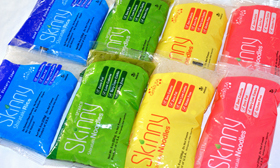 Made in the USA, Skinny Noodles & Rice Shirataki items contain at least 3 grams of fiber per serving to help you feel full and satisfied without extra calories and carbs. Use them in place of pasta, rice, potatoes, or bread. They also are Dr. Oz approved! 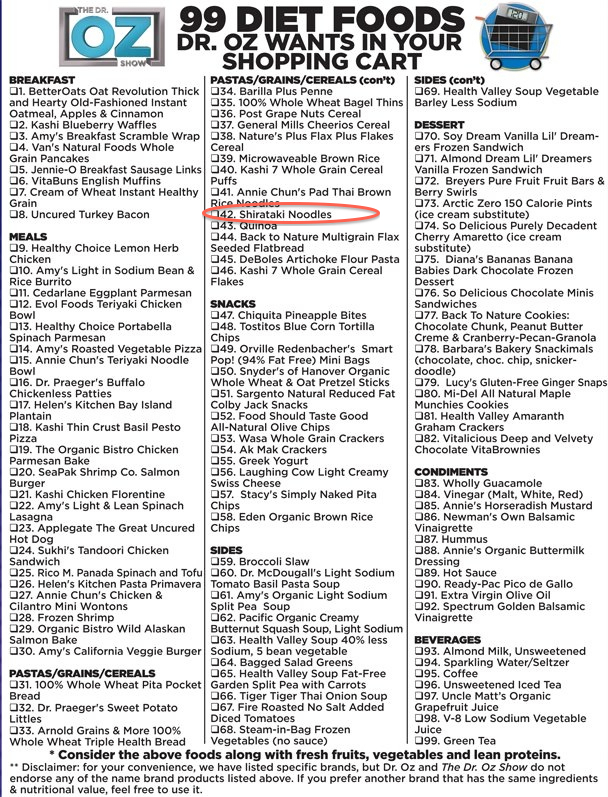 He has listed shirataki noodles as one of his best "99 Diet Foods."